A little something different today on the blog. We are featuring these two gorgeous quilts made and designed by Patricia @ The Butterfly Quilter. 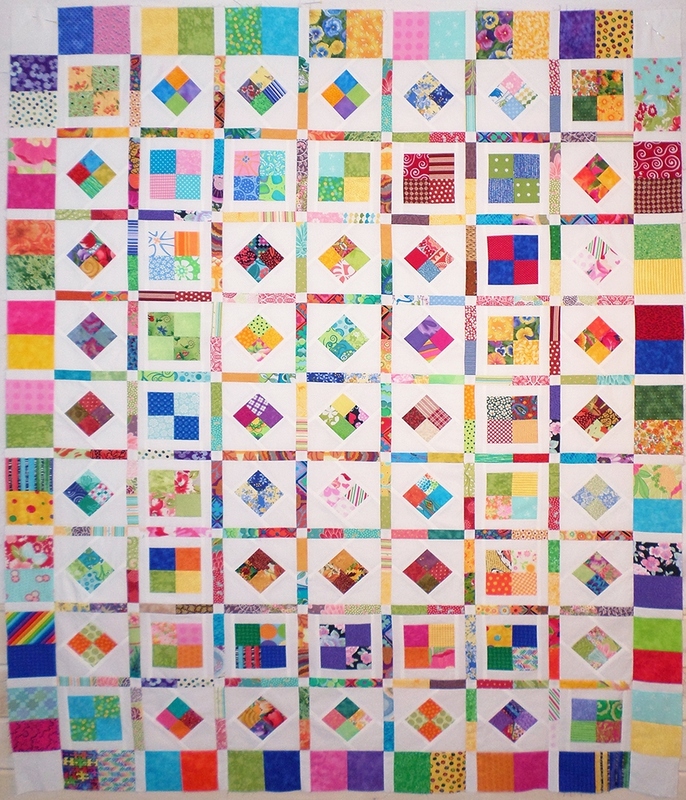 These quilts where made with 4 patch blocks donated by the members of the Quiltsy team. They will be quilted and then be available for purchase in the Team shop! Here is a list of all of the shops that donated blocks or services. Please stop by and check out all the beautiful items they have to offer. These quilts are so bright and cheerful. They are a perfect example of why I love scrap quilts. Why use 5 fabrics when you can use 55! Besides if you use more you get to buy more, right? WONDERFUL!! Quilts and Wonderful POST! Just beautiful! Those quilts are so beautiful! For all the different blocks that went into those, it's simply amazing how fabulous they look altogether!! 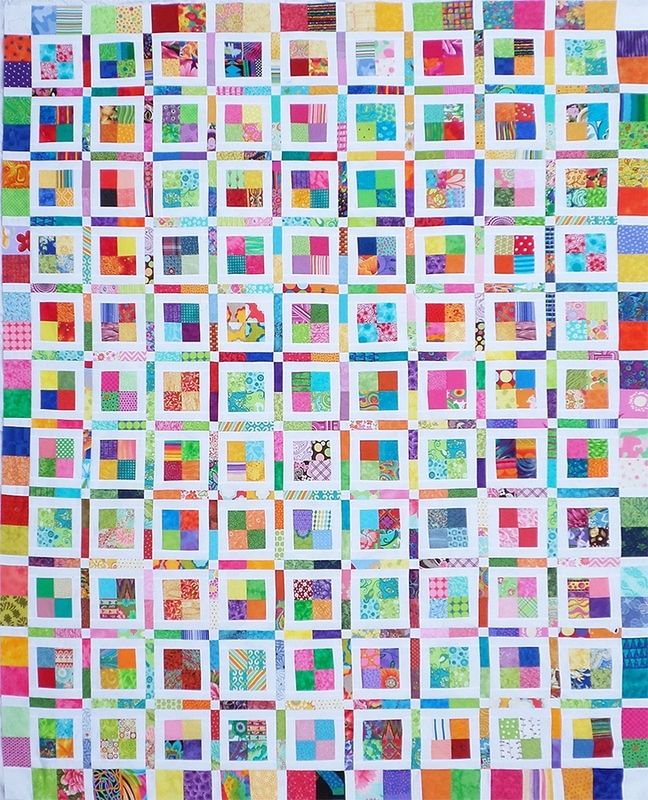 Such beautiful and cheerful scrappy quilts ... I love the white sashing that sets them off so well! Thanks to all who donated blocks and especially to those doing the "hard" work of construction and finishing. About my link to my WIP blogpost, I don't know what is wrong with it. Can you delete it and try again for me? Beautiful quilts! Do you get to buy new fabric to replace fabric supplied by other quilters? What a great concept! Visit Quiltsy's profile on Pinterest. Looking for a Quilter to help FINISH your quilt? The Quiltsy team is accepting applications for new members! If you would like to apply see our application page . 2-1-15: Superbowl Sunday and two new quilts! The Design Process for a Quilt!